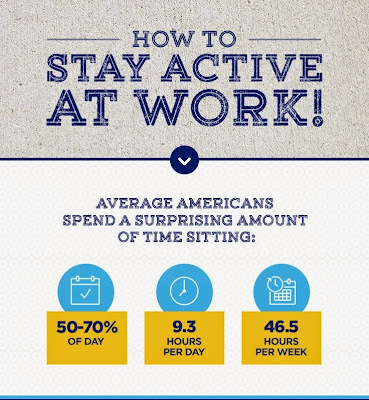 Did you know today is National Employee Health and Fitness Day? I started my morning out with an awful 3 mile run which I'd rather not discuss. 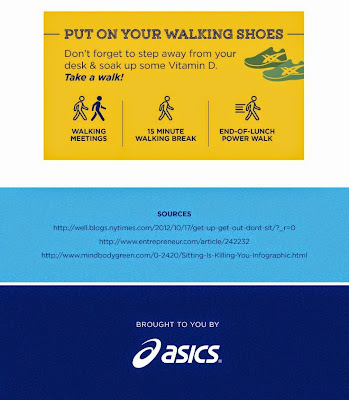 Instead, I want to share ASICS info-graphic on how to stay active at work. I have had a desk job my entire career. I now work from home and while one would think that makes life easier to stay active, it is quite the opposite. I sometimes find myself never getting up during the work day. These desk exercises will help you stay active while at work. 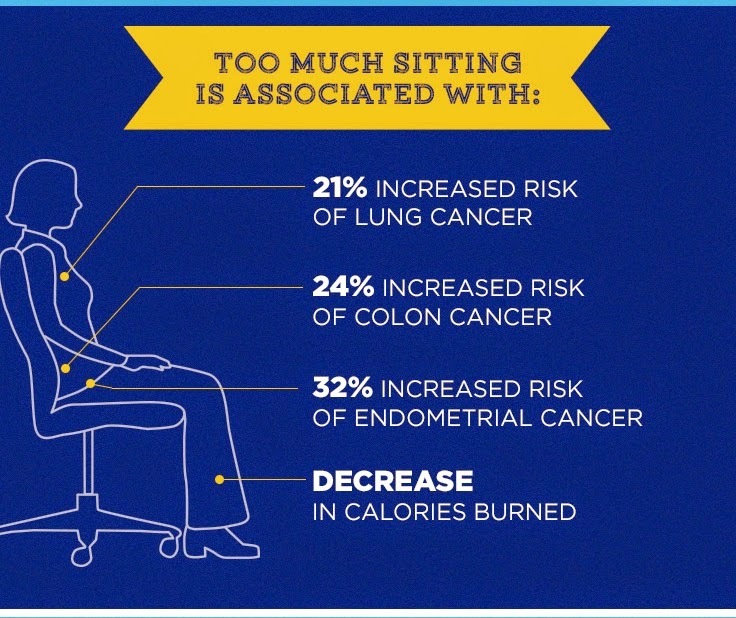 Too much sitting is associated with: 21% increased risk of lung cancer, 24% increased risk of colon cancer, 32% increased risk of endometrial cancer. 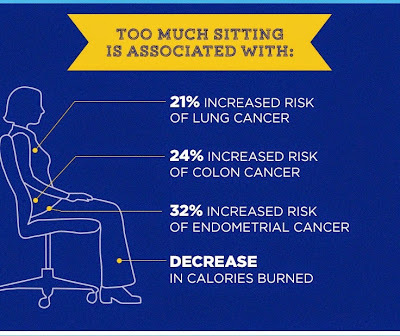 Also if you aren't active, you will not burn as many calories. 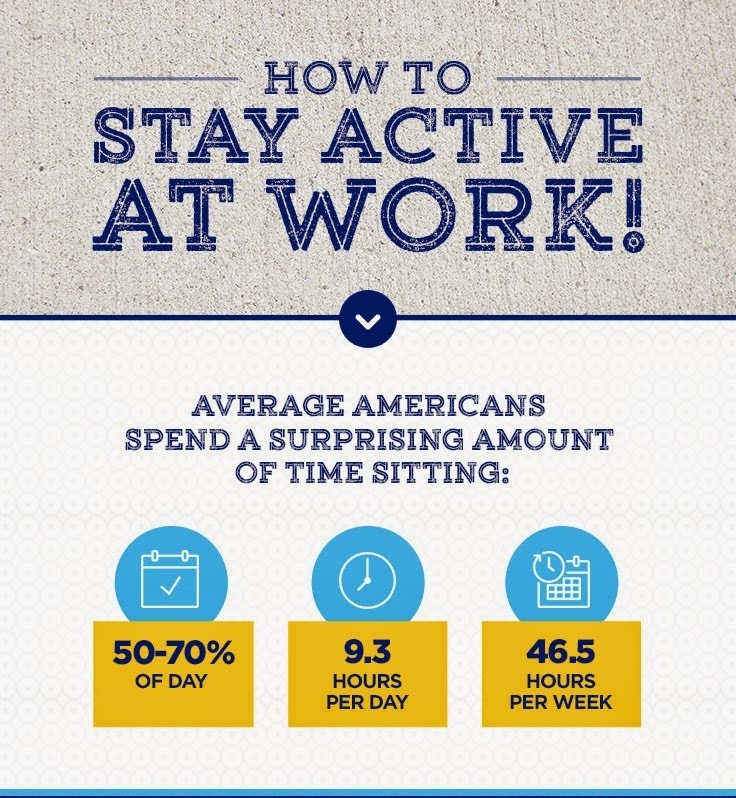 Here are some easy steps to stay active during the workday. 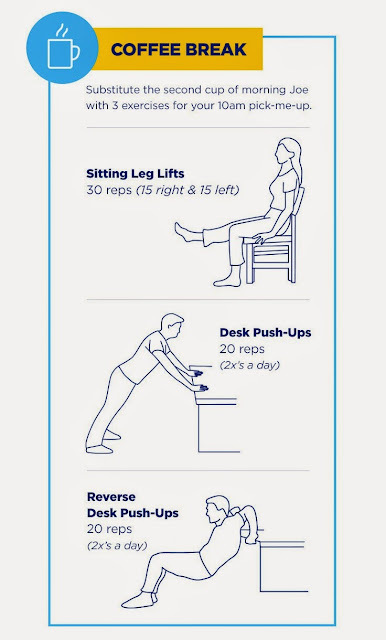 MORNING: Prior to lunch, find a few minutes to do leg lifts, desk push-ups and reverse desk push-ups. If you are in a cubical, get a group together to keep each other accountable (and so you don't look silly). LUNCH: During lunch time, do leg squats, cubical wall sits and chair dead lifts. 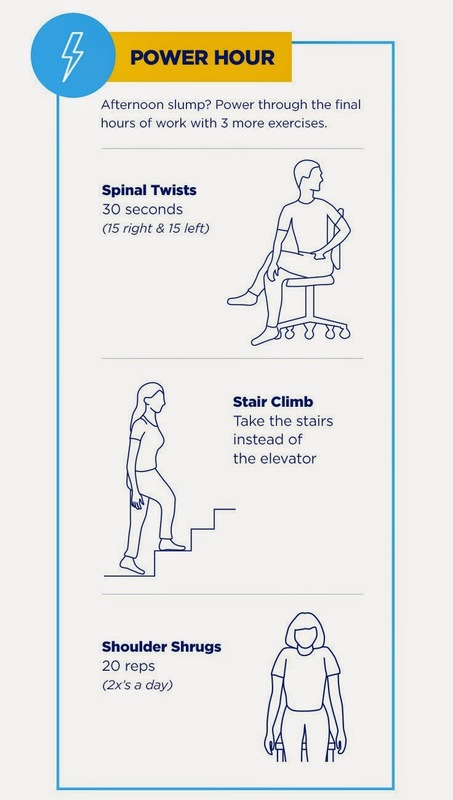 AFTERNOON: Before you head home for the day, do spinal twists, climb the stairs and do shoulder shrugs. 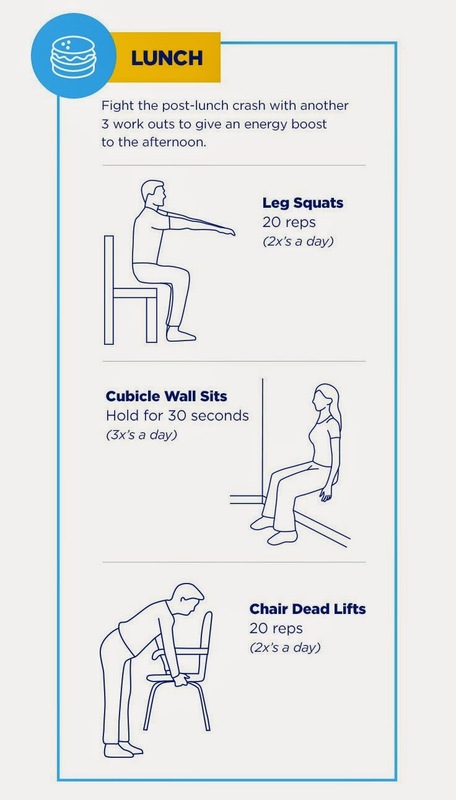 I love these reps as they not only help you stay fit but also act as a stress relief. 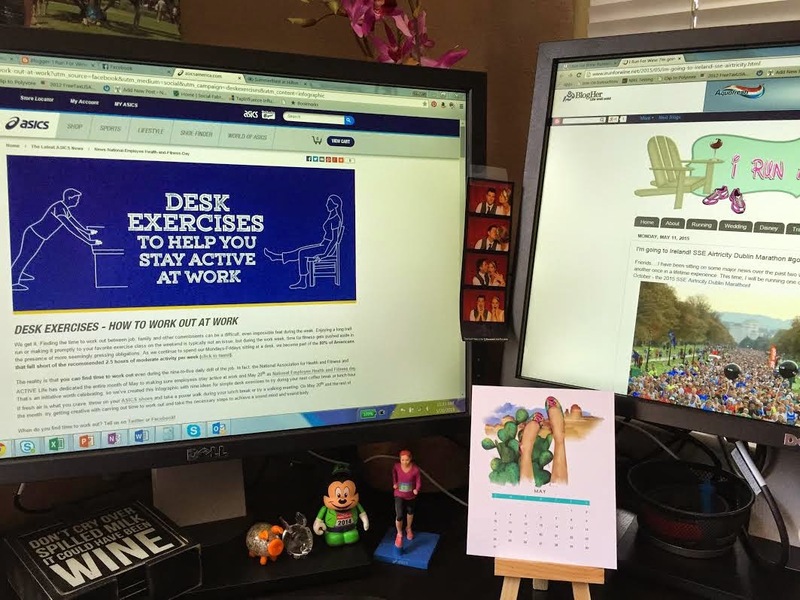 DESK MOTIVATION: Have items around your desk that motivate you. I have my ASICS mini marathoner (aka Mini Megan) which was made for me during the 2014 NYC Marathon. Beside Mini Megan is my 2014 runDisney Vinylmation Dopey Mickey, who is a constant reminder that I ran 48.6 miles in 4 days.